Emad Tajkhorshid directs the leads the NIH Center for Macromolecular Modeling and Bioinformatcis and the Computational Structural Biology and Molecular Biophysics Group at the Beckman Institute. He is Hastings Endowed Chair in the Biochemistry Department, as well as holds additional appointments across multiple colleges that include Chemistry, Bioengineering, Pharmacology, Biophysics and Quantitative Biology, Computational Science and Engineering, and the Carle-Illinois College of Medicine at the University of Illinois. He joined the faculty of the Departments of Biochemistry (LAS) and Pharmacology (UI COM) in 2007 and was fast tracked to associate professor with tenure in 2010 and then again to the rank of professor in 2013. His tenure dossier was selected as one of the two top UIUC tenure cases on campus. In 2015, Professor Tajkhorshid was named a University of Illinois Scholar, after being nominated by both UIUC and UIC campuses. In 2016, he was awarded the Faculty Excellence Award from the School of Molecular and Cellular Biology at UIUC. Later that year he was named Endowed Chair in Biochemistry. His research focuses on developing and applying advanced computational techniques to characterization of biological phenomena, particularly membranes and membrane proteins, with the aim of achieving the most detailed microscopic view of structural and dynamical bases underlying biological function. Major areas of his extensive research portfolio, which have enjoyed continuous support from multiple federal funding agencies (NIH, NSF, DOE, DOD) over many years, include mechanistic studies of membrane transport proteins, principles of energy transduction and coupling in bioenergetic proteins, and lipid modulation of protein function, e.g., in signaling proteins associated with the cellular membrane. 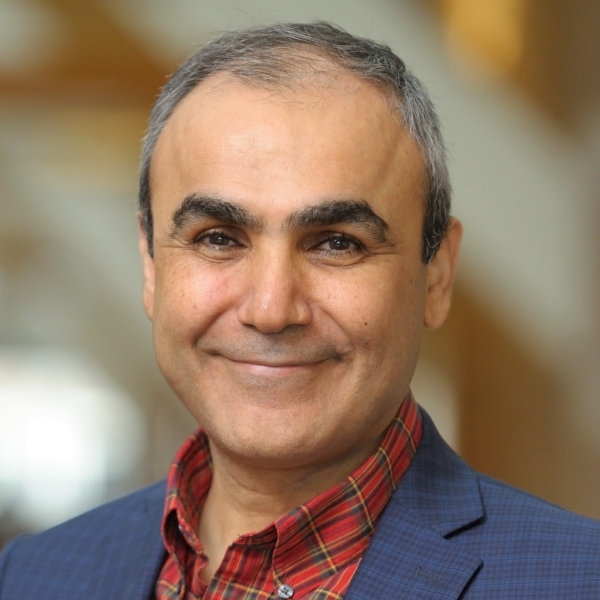 Dr. Tajkhorshid has authored over 200 research articles (H-index 60) with over 20,000 citations in such high-profile journals as Nature, Science, Cell, eLife, and PNAS. He has delivered nearly 150 invited lectures at international meetings, universities, and research institutes. He has served on the Editorial Boards of multiple major journals, including Biophysical Journal, Journal of Biological Chemistry, and PLoS Computational Biology, and Biochemical and Biophysical Research Communication. Contact Us // Material on this page is copyrighted; contact Webmaster for more information. // Document last modified on 04 Nov 2008 // 71878 accesses since 04 Nov 2008 .